Darin was recently invited to a reception to meet his two Prime Ministers. 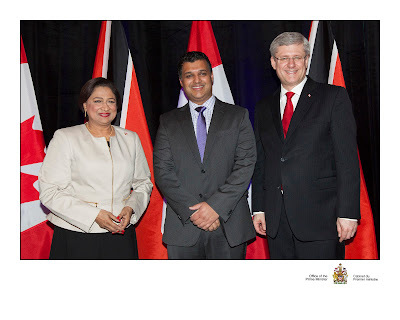 The Right Honourable Stephen Harper and Kamla Persad- Bissessar. A truly amazing opportunity and honour that so very few people have. Check out this picture from that night! Seriously though, so proud of you D and all you've accomplished and continue to do.